After the ancient forests and open ocean views of Route 1, our road cut inland across a set of low hills dotted with solar panels and avocado farms, leading into the heart of California. 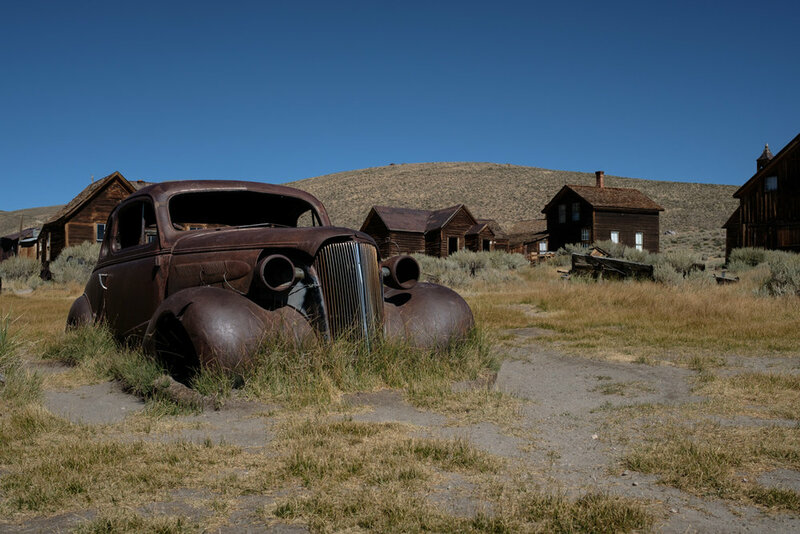 We crossed barren, windy deserts on seemingly unending dead-straight roads through the Eastern Sierra, past the mirror-like Mono Lake to visit the abandoned gold mining town Bodie where we camped overnight in a settle-styled canvas wagon! Bodie had a brief boom period after gold was first discovered in the late 1800’s and quickly gained a reputation for having some of the roughest saloons in the States. However, the gold quickly dried up and the town is remarkably well preserved in the state it was left, with furniture in the houses, bottles in the bars and clothes in the tailor’s window. 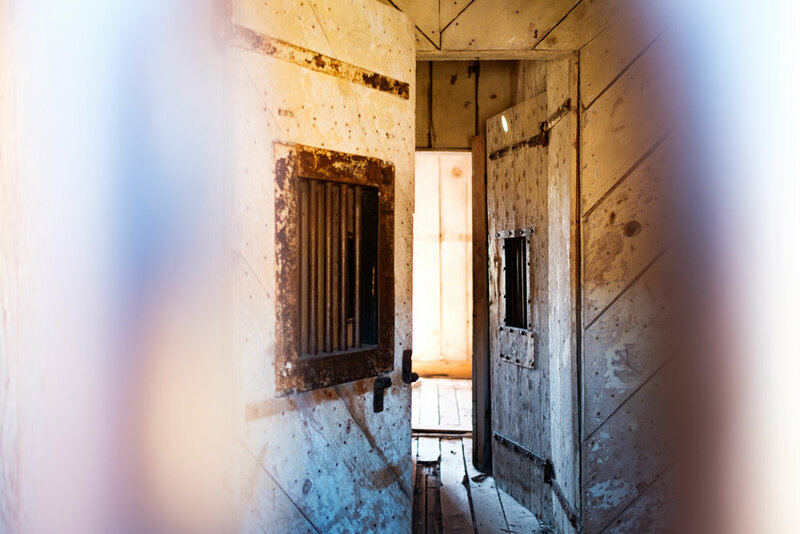 It felt strange, almost intrusive to catch such intimate glimpses into people’s everyday lives, from abandoned children’s toys, to rusted cars, chilly jailhouse cells and painted safe still residing in the crumbled bank vault. Leaving the low desert behind, we drove up into the mountains through the steep Tioga Pass into Yosemite Valley with incredible views of Half Dome from Olmstead Point. We stayed several days just outside of the park at an incredible hostel (Yosemite Bug – hugely recommend it, incredibly good food and stunning copper hot tub with valley views) which provided the perfect base for exploring the mountains. 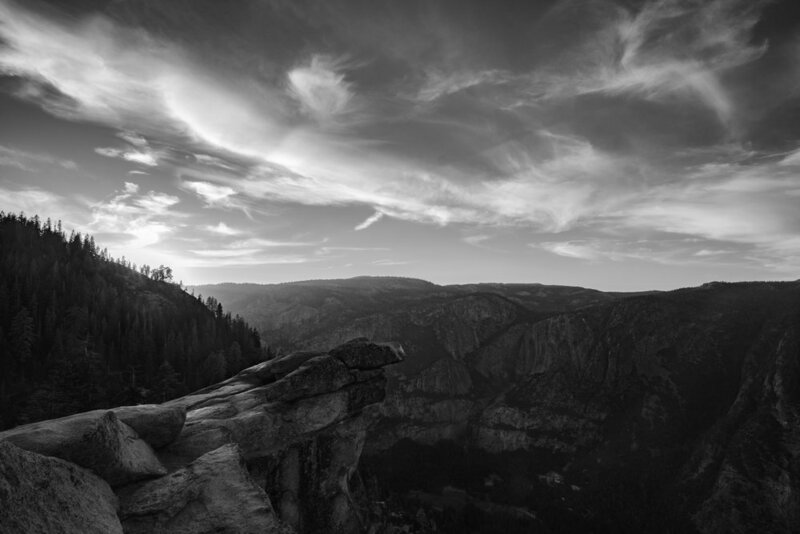 Selecting highlights from this section of our trip was particularly tricky, but sundown over Yosemite from Glacier Point (with rangers telling fireside stories), star gazing from Tunnel View and the walks around the abandoned Bodie were high on the list. This section of the road trip provided some incredibly beautiful landscapes which are hard to do justice to in a simple photograph… I have tried my best and included some of my favourite pictures below. If anyone has any comments or would like to purchase a print please contact me (details below) and I would also be very happy to offer advice on travel travel/accommodation from across this roadtrip.